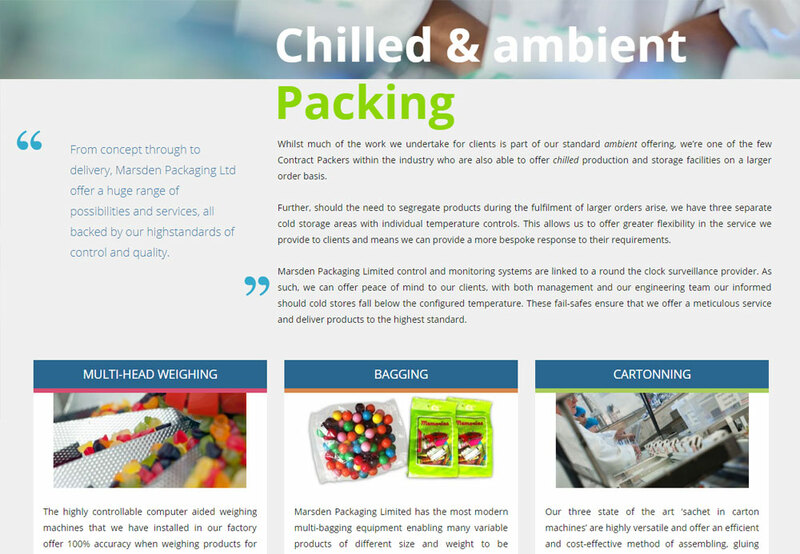 Marsden Packaging are a long established co-packing company based in Blackburn Lancashire, who offer a full range of comprehensive co packaging requirements to suit customer needs. 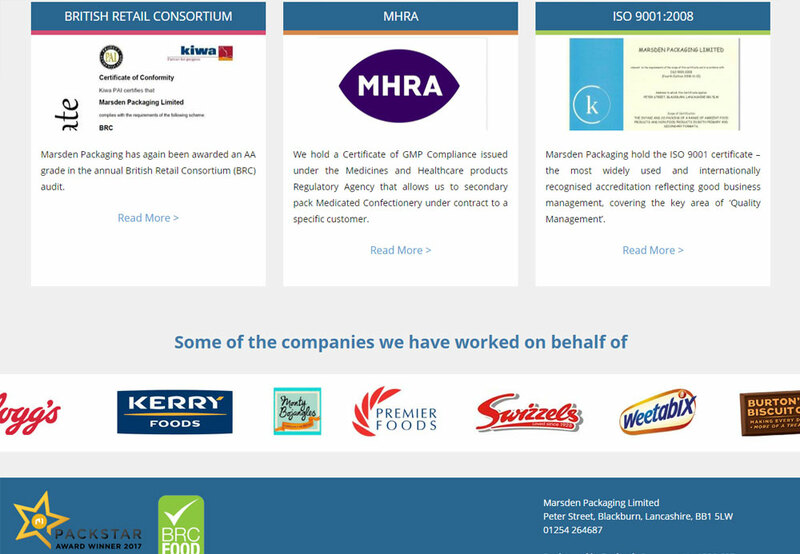 They regularly undertake work for many major blue chip companies. 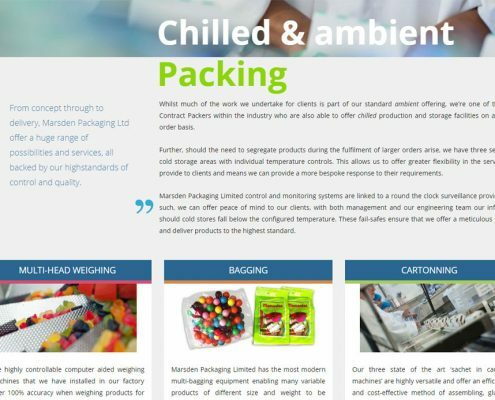 Bluehoop Digital were asked to create a website which showcased the breadth of work which Marsden Packaging do for a variety of clients. 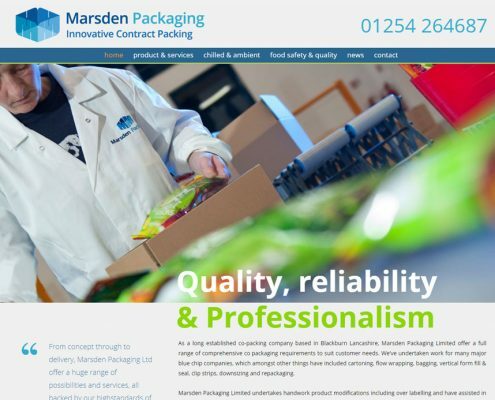 We commissioned a photographer to capture all aspects of Marsden Packaging’s professional approach, from the security through to the warehouses, factories and staff. 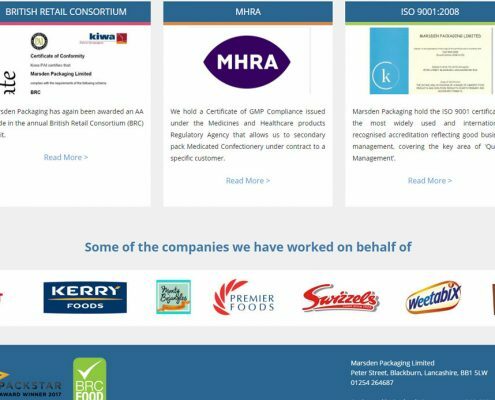 The resulting redesigned and responsive website provides a consistent user experience across desktop, smartphones and tablet devices. 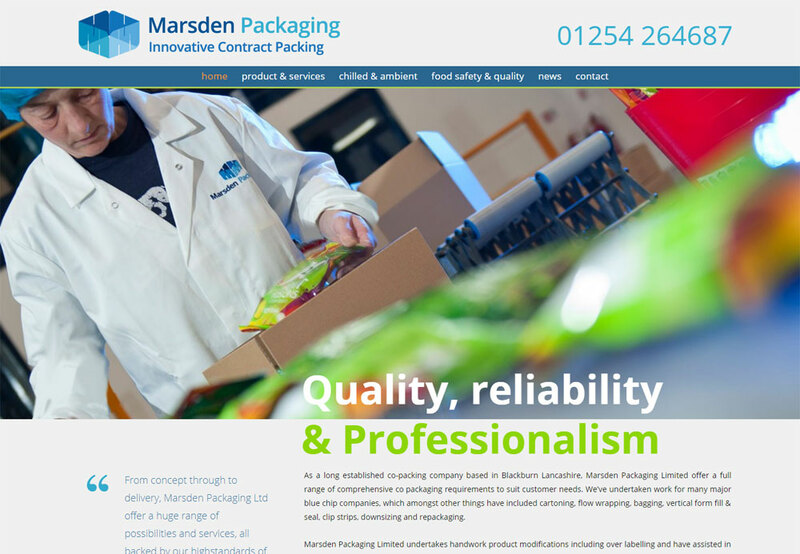 The project also encompassed Search Engine Optimisation which has seen Marsden Packaging rise in the rankings and attain top search spots for many of the chosen keywords.